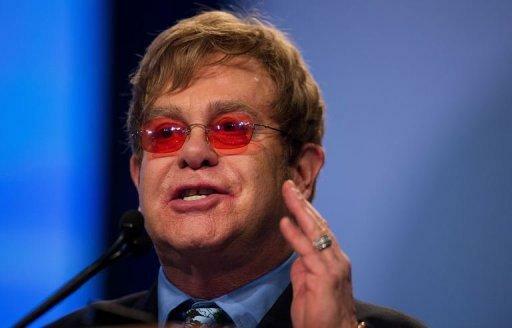 Elton John | MCMANNES...INTO DARKNESS! 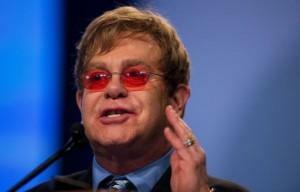 Elton John joins Matt Damon in praise George W. Bush’s anti-AIDS efforts | Texas on the Potomac | a Chron.com blog. Singer Elton John is not the first person you would expect to applaud the actions of former president George W. Bush—however, last week, that’s exactly what happened. The singer, who once called Bush “the worst thing that ever happened to America,” has developed a newfound respect for the former president after meeting him recently, and praised him for his efforts in fighting HIV and AIDS. John said that Bush, as well as other conservative politicians have made a great impact in the lives of AIDS victims. “We’ve seen George W. Bush and conservative American politicians pledge tens of billions to save the lives of Africans with HIV—think of all the love, think of where we’d be without it,” John said last Monday to participants of the International AIDS Conference, which took place in Washington D.C. from June 22-27. The “Crocodile Rock” singer is not the only democratic celebrity to praise Bush’s AIDS-fighting efforts recently. Actor Matt Damon, who supported Barack Obama in 2008 and has since become a critic, due largely in part to what he deems insignificant action in the cause of poverty and disease in Africa and elsewhere. In a news conference during the Clinton Global Initiative in New York earlier this year, the actor praised the former president for his work with PEPFAR (the President’s Emergency Plan for AIDS Relief). “I would kiss George W. Bush on the mouth for what he did on PEPFAR,” Damon said. PEPFAR originated in 2003 under the Bush Administration, is a “U.S. Government initiative to help save the lives of those suffering from HIV/AIDS around the world,” according to pepfar.gov.